5.0 HO under the hood!!! nice work on the sas, how long did it take? Wow, how many gallons per mile do you get? 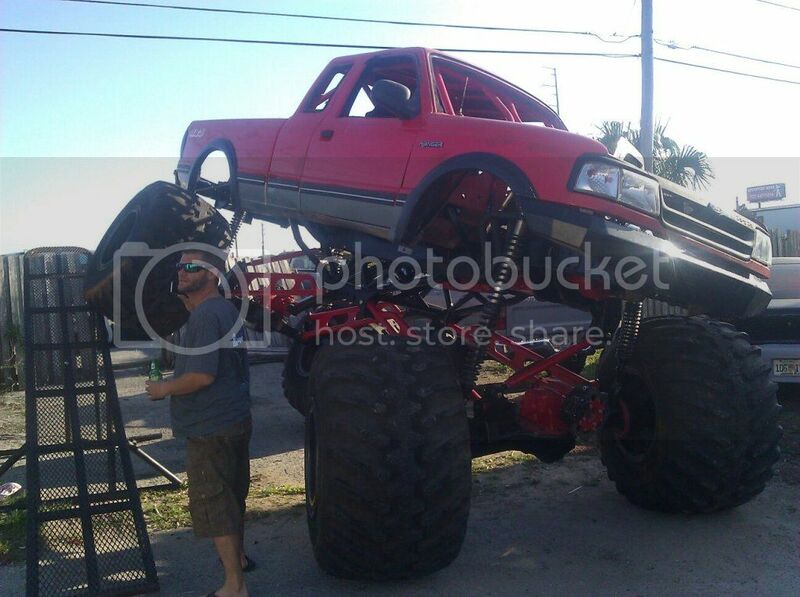 ....dude your so close to me..i want to see this thing in person...its awesome, where do you run it? lakeland? seriously though, badass truck, what all on it is still ranger? and what size are those tires? Weres your front driveshaft and what did you do for steering?